Brüel & Kjær is running a range of theoretical and practical training courses in acoustics and vibration analysis throughout 2018. The first session, taking place on 6th March at the company’s UK headquarters in Royston, is the Vibration Testing for Engineers and Technicians course. This offers delegates a practical introduction explaining how to interpret vibration test specifications and apply them to a vibration test system. It has been designed for engineers new to the field of vibration testing, but also acts as a useful refresher for more experienced users. There’s an optional third day called Vibration Hands-on Practical, which covers the LDS Laser USB Controller for sine, random, shock and mixed-mode testing. Also running in March is the company’s Reflex Hands On training session; a class for new and existing PULSE owners wishing to unleash the power of the company’s PULSE Reflex software. 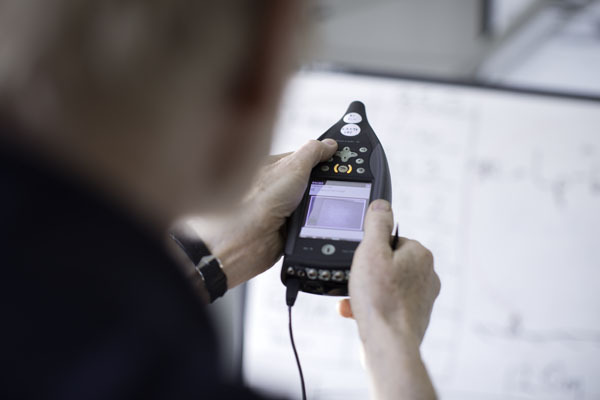 Ideal for technicians or engineers performing sound and vibration measurements, this intensive hands-on training session will provide attendees with the skills for efficient use of the sound and vibration data analysis tool. During April, Brüel & Kjær will run the Acoustic & Vibration Introduction for Design & Test Engineers course, which has been designed for especially for industrial engineers. It will cover the basic concepts important for airborne and structure-borne noise – and vibration in machinery. The three-day session provides attendees with an understanding of the basic principles, enables them to distinguish the different aspects of noise and vibration generation and transmission, and then apply these principles in practice. Free, online training is also available via Brüel & Kjær webinars, which are run by its technical experts. These cover a range of topics, including basic sound level meter training, specialised product introductions and more general topics, such as building acoustics.